Tis the season to be jolly. Or to try and be jolly at least… against the odds. It is more likely the season to be stressful, as everyone takes on the mad-dash panic of last-minute gift buying and food shopping, and as they prepare to see the people they usually love but this time of year tolerate. Now let’s spare a moment for those working over Christmas, for those who will suffer the wrath of never-ending customers enduring this annual stress. They need someone to take it out on and reliably it will be those of you simply trying to help. So here is some help for you: a Christmas survival guide based on the advice of those who have experienced the frontline for themselves. 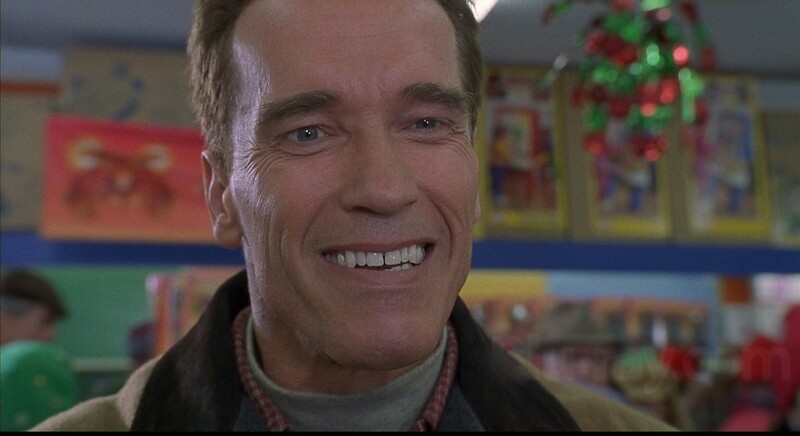 Undoubtedly many of you will face the Arnold Schwarzenegger’s of Christmas shopping as they expect to head out in the final hours and secure themselves a Turbo Man despite their evident popularity. When this doesn’t work out they’re sure to blame you. It would be easy to point the finger at the customer. After all they knew that Christmas was coming. It’s not like the date changes. And with December reduced to a giant billboard for the impending yuletide event, it’s hardly a subtle holiday that you can overlook or forget about. But they didn’t ask to be a part of it and yet they’re expected to play along. They could just as easily shut themselves off from the world and emerge a few weeks later unscathed, save for some ruptured family bonds. The mere fact that these people are out, trying to attain gifts for people they care about, is worthy of admiration. Aside from their tardiness and lack of preparation there is a nice sentiment in there somewhere – try your best to see that in people, as much as they make you want to hate them. Christmas temping is an age old tradition of retail outlets. Companies will draft in more bodies to deal with the rise in foot-flow and to diffuse the masses. You will be employed on the frontline to deal with the rush and so you may find that there is little time to slow down and settle in. This can be very overwhelming especially given all the extremes listed here. ‘GOOSE FAT! Where is the goose fat!’ a hysterical woman shrieked in my face as I held my arms up in self-defence. This was the first day, of my first job, working in Sainsbury’s on Boxing Day 2006 – some induction. Apparently good old Nigella Lawson had mentioned in an interview that Goose fat could transform Christmas dinners. That was all it took for the ‘Nigella Effect’ (seriously) to hit supermarkets nationwide, causing the general public to lose all sense of decency as though it we had been hit by the zombie apocalypse. This was my baptism by fire. What I learned (after the location of the goose fat) was to not take it personally. When the goose fat had inevitably sold out, people seemed to take offence and would direct their frustration at us – the lowly shop floor staff. You must know that these people are slightly out of their minds, and they do not mean what they say. Anyone in their path is likely to be mowed down. They won’t give you another thought so best not to let their comments stay with you. As it’s the appropriate time of year, take some advice from JC: “Forgive them, for they do not know what they do”. Christmas music is a lucrative market that many try to break into and yet very few manage. Unfortunately the handful of songs that do catch on will be played on repeat until their lyrics lose all meaning. I spoke to a member staff at my local Co-operative supermarket in the first week of November when I noted the music. He informed me that now Halloween was over they could not stock fireworks and so jumped straight to the Christmas season. This meant near enough two months of T-Rex and Noddy Holder. “Do they know it’s Christmas time at all?” posed Geldof and co. We certainly do, and it’s thanks to the onslaught of these few songs year after year. So whilst it might be enough to hear them on the radio, or as you pass through a shop, spare a thought for those trapped inside next to a speaker. Some people are happy and high-spirited as it is, thriving on Christmas as a time to spread their joyfulness. If you find that you are not this type of person, constant interaction with such people may be testing. Maybe you were fine before now and wouldn’t mind a cursory smile from time to time, but the forced and repetitive conversations have driven you to utter bitterness – carving you into a cynic who will be aggravated by Christmas wishes from children even. In this case: change starts within! You should be thankful that you haven’t caught someone on the other end of the scale. Even if you find it grating or contrived, they are making the effort so you best do too. When you give in to this festive spirit, adopting it as an act even, you’ll find it rewarding and it’ll make the day a lot more manageable. Delivering the same greeting can empty it of any sincere meaning, so think of some variations and try to change them up and personalise them instead of driving yourself crazy. Try to appreciate the novelty for what it is and enjoy actually interacting with people! Best of luck to you all! I’ll see you on the other side as we prepare for the looming January sales.